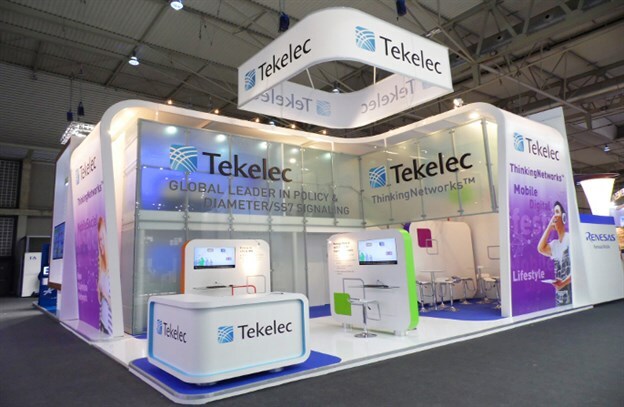 We manufactured an overhead sign structure for 4d Design, for Tekelec who were exhibiting at the Mobile World Congress in Barcelona. 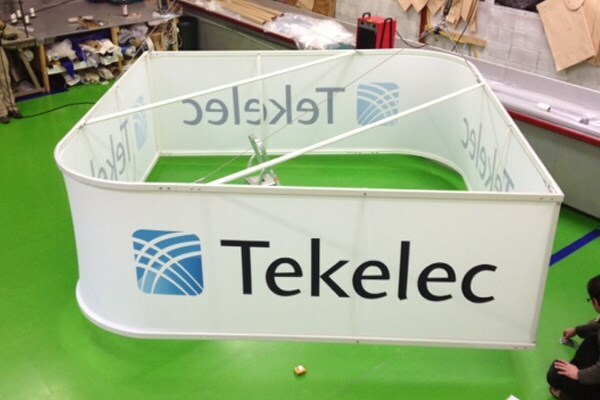 The frame and printed fabric skin were supplied to the client to install themselves, so the whole unit was pre-built at our works, to ensure a good fit and provide us with an opportunity to photograph the unit for building instructions that we also issued to the client. 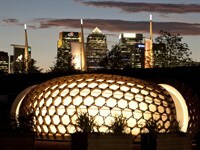 The structure takes about an hour to build or disassemble. 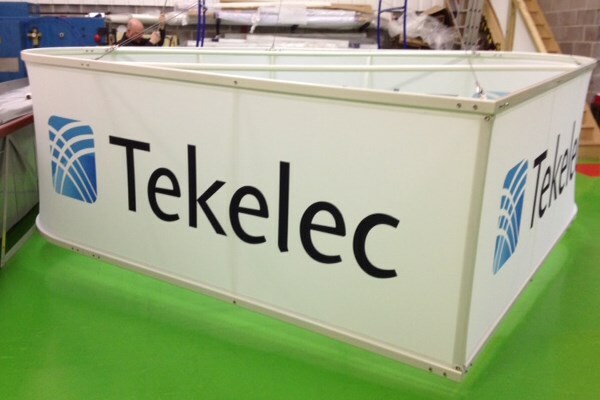 The fabric was dye-sublimate printed on all four sides with Tekelec's logo. 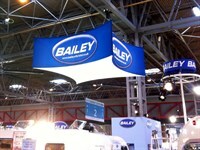 The suspended banner really draws the eye and is great for attention seeking in large exhibition halls such as this.